If your a boat owner or captain looking for the best Boat Works in Oregon then Giddings Boat Works in Charleston should be your first choice ! Our shipyard is conveniently located on the Southern Oregon Coast in a well protected location in the Charleston Harbor. We offer fishing boats and other commercial vessels complete retrofits, maintenance work and repairs as well as new builds like the Miss Evie Grace that is currently under construction. Our top priority is to get our customers the services they need, so you can get your boat and your crew back out on the water as quickly and safely as possible, so you can be profitable again. If your looking for a new color scheme, galley or hull extension, bulbous bulb addition, or new heating and cooling systems, we have the team of experienced machinists, fabricators, welders and fitters that have the knowledge and skills to get the job done right ! Giddings Boat Works is trusted name by owners, captains and crews for our expertise, affordability, and integrity all along the Pacific West Coast from California to Alaska. 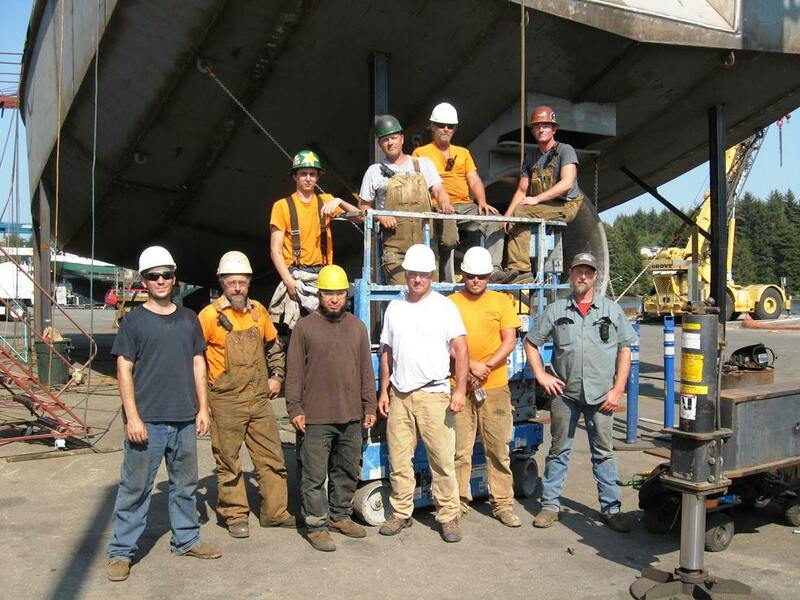 If you’re in need of boat work or repairs or a new build project, then give the team at Giddings Boat Works a call at 541-888-4712 or Contact Us via email and let us help you make your boat and crew more successful !